Lanzarote is one of the Spanish Canary Islands off the north west coast of Africa. 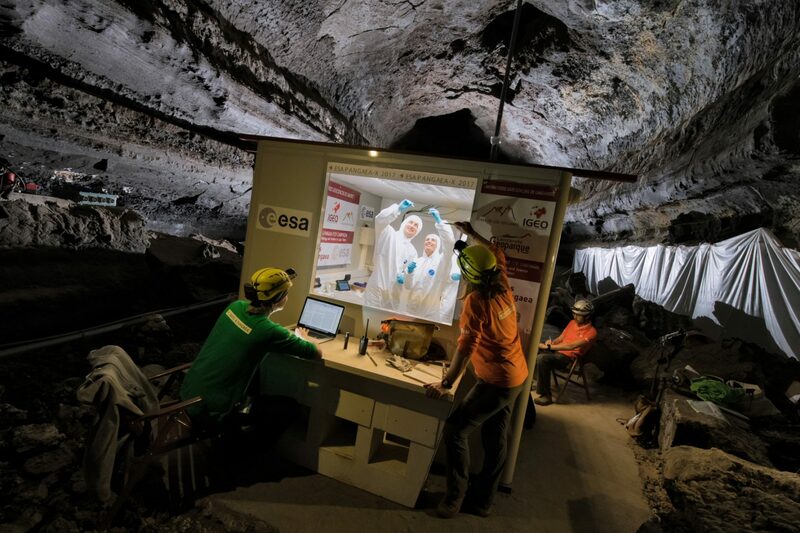 This photograph was taken during an assignment documenting the European Space Agency Pangaea 2017 astronaut training programme, teaching ESA astronauts a better understanding of geology. From sampling rocks, searching for new life within rocks and completing missions on foreign planets that are designed to find rock samples that could help scientists back on Earth better understand what potential life might exist within our solar system.